Communication while cycling (or doing anything else) is coming of age. There are new technologies emerging that make it easier than ever to communicate now. Some are built into helmets and make cycling communication easier, but there are also systems that don’t require the helmet. This frees you up to wear whatever type of helmet you want or already own, and have an option to use it when not riding, because who wants to wear a helmet when you’re not on your bike? The Bonx grip is a wireless earpiece and an app for your smartphone that allows you to communicate, hands-free, anywhere you have cellular data service. You can communicate with up to 10 people via the app. You set up a “room” and invite people into it, like an online meeting. You can be riding together or halfway across the world. Available in black, white, green or pink colors, each comes with a choice of ear loop and ear insert sizes for a custom fit. It is pretty comfortable and secure. Sound quality is good and has noise-canceling features so you can hear the people you’re talking to and not the background noise or wind noise, but you can also hear what’s going on outside the earpiece so you can still hear traffic. It has an IPX5 rating, which means that if you ride with it in the rain, you’re fine. IP stands for “International Protection” (also sometimes referred to as “Ingress Protection”), and in this case the X stands for no rating as far as dust protection, and the level 5 means that even a super-soaker hit won’t take out the Bonx. If you fall into a lake, however, you may be out of luck. It’s hands-free, with two simple buttons on the outside to allow extra control without having to dig your phone out of your pocket. There is voice activation as an option; it detects when you start speaking and automatically starts transmitting. If you get into an area with low or no cell signal, you’ll get a verbal warning in the earpiece. If the connection drops, it will automatically reconnect without you having to touch anything or go back into the app. This is a really great feature. Charging it is simple; it uses a micro-USB cable, which is included. The battery lasted all day on our tests. BONX ambassador Brandon Semenuk. 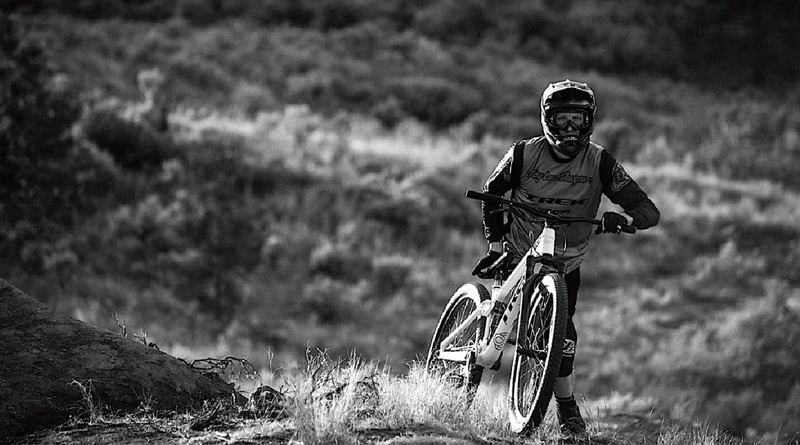 Brandon is the true leader of the world of freeride mountain biking. His talent in filmmaking is also phenomenal. His YouTube series Life Behind Bars has over 27,000 subscribers. He has many fans across many disciplines. 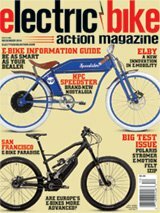 “BONX is a useful tool for those of us doing MTB and rallies,” he says. “I’m looking forward to pursuing the possibilities of this product.” We look forward to making awesome content with Brandon as BONX’s global ambassador. 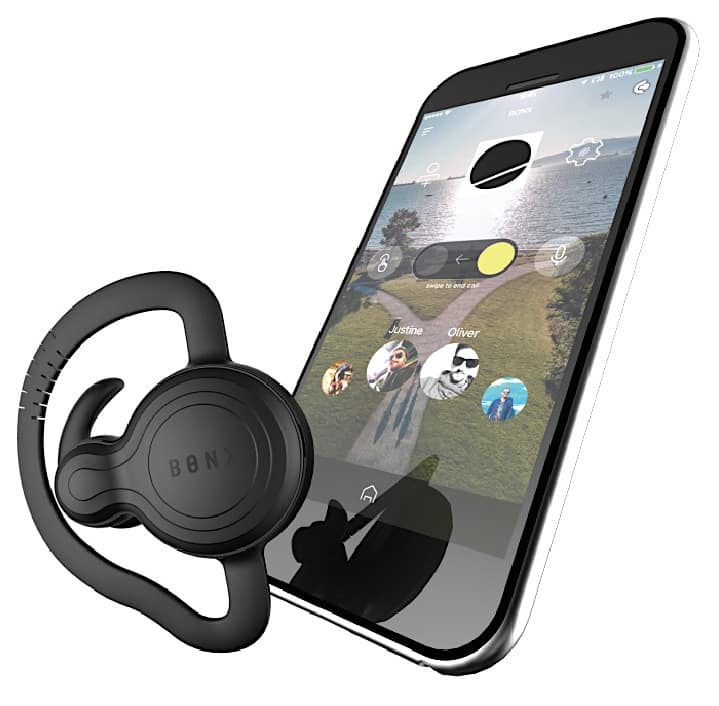 We like the Bonx Grip for what it does, but if you only ride with one other person or only talk to one person at a time, or ride in areas with no cellular data coverage, this may not be for you. If you do ride with a group regularly, this is a great option, but everyone has to buy one. It’s actually pretty good as far as Bluetooth headsets go. It can play music or audiobooks, or give directions without a cell signal. Bonx just added a feature to let users share live stories. This allows users to film videos and hear the voices of everyone involved, even if they’re spread around the world. 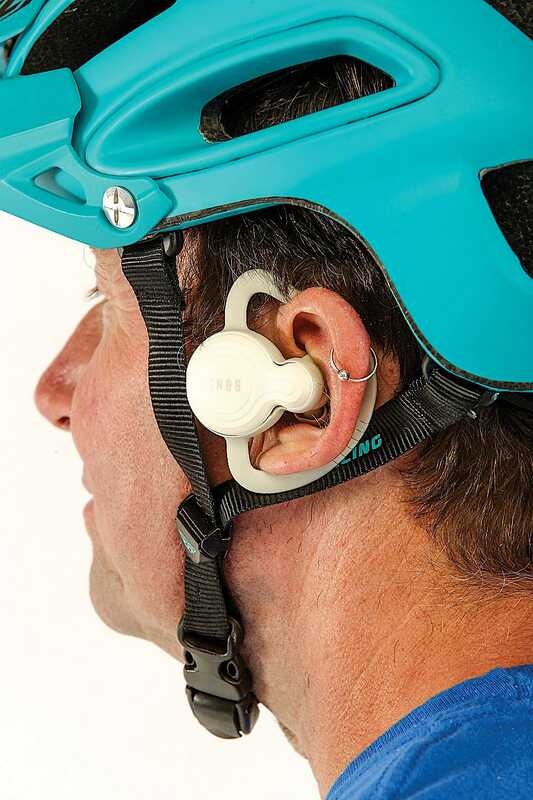 Pros: Great for group rides of three or more where you want to communicate easily. It’s easy to set up and easy to control who is in the room. Sound quality is very good, including noise-canceling and wind-noise attenuation, as well as voice recognition. The battery lasts all day. Since it’s only in one ear, it’s a great choice for states like California that require headsets to be in only one ear while driving. Cons: Everybody in the group has to have one for it to work. At $140 a pop, that can get a bit pricey (one-time cost, there are no fees). Must have cell service (data connectivity), which is bad if you ride in mountains or other areas that have weak or no service; you’re out of luck.